Throughout the ages, many avataras - divinely inspired teachers and incarnations of God - have appeared in the world, but none has ever distributed spiritual love as freely as the Golden Avatara, Chaitanya Mahaprabhu. Chaitanya Mahaprabhu (Mahaprabhu means "the Great Master") appeared in Bengal, India, in 1486, and lived for 48 years. He began a revolution in spiritual consciousness that has profoundly affected the lives of millions. 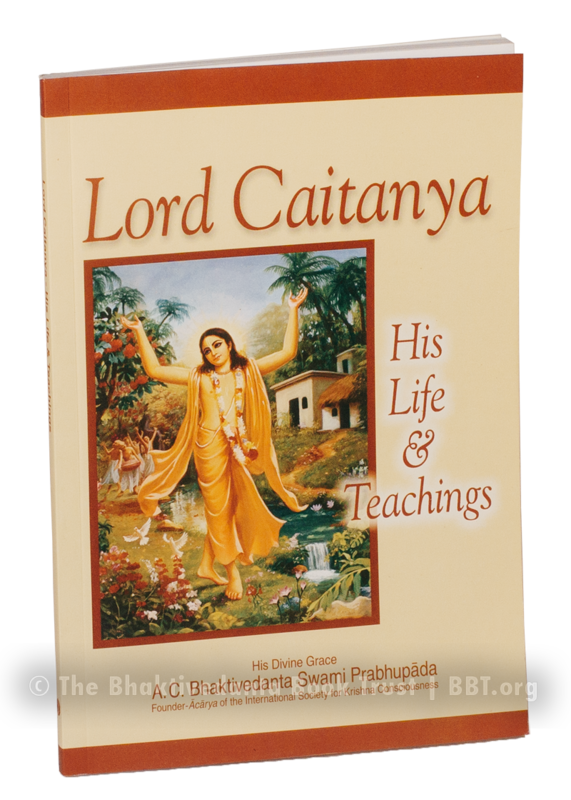 Renowned as a great saint even in His youth, Lord Chaitanya left His family at the age of 24 to teach the forgotten essence of the ancient Vedic wisdom throughout India. Although He Himself was a fully renounced mystic, He taught how one can act in spiritual consciousness even within one's home, occupation, and social affairs. Thus, His teachings, although timeless, bear special relevance for today's world. He taught a practical process that anyone can perform to directly feel the ecstasy of pure love of God. This book tells about the extraordinary life of this great saint and explains the essence of His teachings.